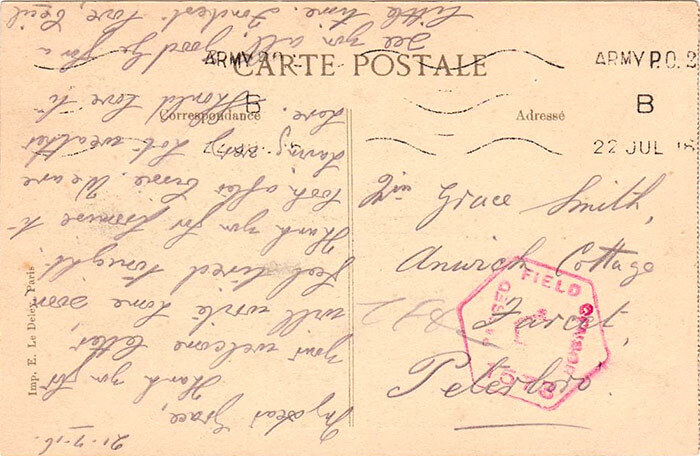 An interesting postcard dating from 1916 which shows a field censorship stamp and an Army postmark. The sender was 21 year old Cecil Smith and the recipient was his sister, 18 year old Grace Smith who resided at the family home at Anwick Cottage in Farcet. Their father, Fred Smith, was the village blacksmith.